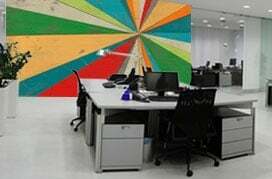 For wall to wall, floor to ceiling wall murals, be sure and provide us with accurate wall dimensions to make sure your new mural fits the space accordingly. 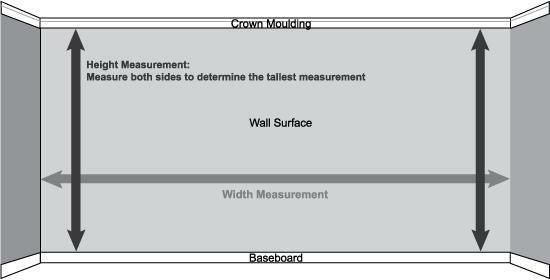 Height - We recommend that you measure the vertical height at each corner as walls are never perfectly square. If different, select the greater of the two height measurements. 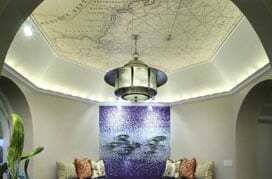 Note: We create all custom size murals based on the specific dimensions that you provide to us with your order. However, if you prefer, you may choose to add an extra inch or so of bleed to the height and width to allow for slightly uneven wall dimensions. The extra material can be trimmed away once the mural application is complete. If you choose to add the extra "bleed", be sure and include this in the dimensions that you provide to us.